Gold Prospecting Adventures, LLC has built a solid reputation throughout California's Gold Country as the best of the best. 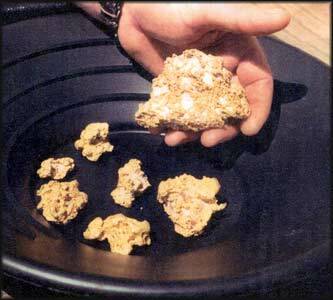 We are the leading professionals in gold prospecting and gold rush history. That's because we've spent the last 40 years perfecting our techniques, improving our knowledge, and tailoring our programs to meet the needs of the thousands of guests who visit our camp each year. Our guides, dressed in period costume, receive special training to insure that every individual enjoys a remarkably genuine and comprehensive gold rush experience. No other gold prospecting company can stake that claim! "Thank you for an absolutely wonderful field trip exerience for our fourth grade classes. 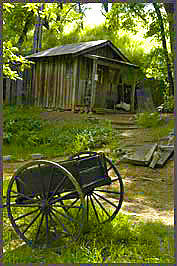 Our study of California Gold History came alive"
Email us today to recieve your free visit to jimtown 1849 mining camp and we will even ship your class some free gold straight from our gold mine. Whether you are a family looking for a fun and interesing way to spend a few hours on your way to Yosemite, a real adventurer, seeking the true secrets to successful prospecting, or a group organize, planning your next tour. we have the trip for you. Be our guest, come to Jamestown, live the adventure and take home some gold. Is There Any Gold Left in California? You bet there is! According to the Gold Institute less than 2 million ounce's of gold wre mined during the height of the California Gold Rush in 1849. By comparison, 10.6 million ounces were found in the U.S. in 1993.